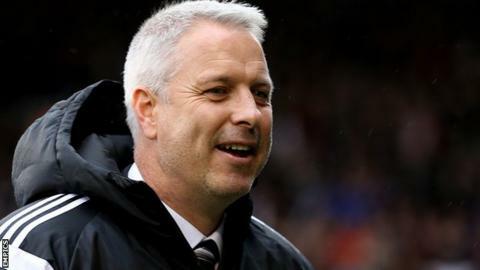 Fulham have sacked manager Kit Symons after Saturday's 5-2 home defeat by Birmingham left the club 12th in the Championship table. Symons, 44, took charge in October 2014 after the departure of Felix Magath and leaves the club eight points short of the play-off places. Fulham chairman Shahid Khan said: "It is now time to take Fulham to the higher level of success that we expect from our manager and our players." A search for a new manager has begun. With Championship clubs now on an international break, Fulham's next game is at MK Dons on Saturday, 21 November. Symons won 22 of his 64 games in charge of the Cottagers and steered the club to a 17th-placed finish last season. He is the seventh manager to leave his job in the Championship since the start of the season.